PROFAB helps electrical contractors reap more profit on big jobs. We manufacture electrical products and systems off-site, lowering your onsite liability. 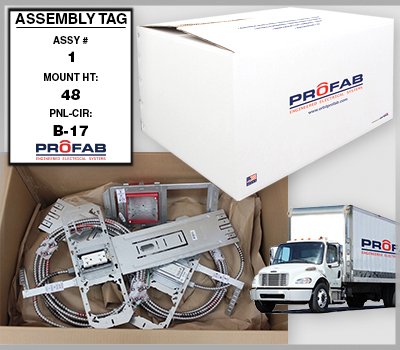 We ship these assemblies when and how you need them, minimizing jobsite congestion. Finally, your crew can rough-in these products right out-of-the-box with little supervision. PROFAB's team of electricians help you with the design and planning process. Your electrical assemblies are built-to-order in a controlled, 50,000 Sq. Ft. facility. 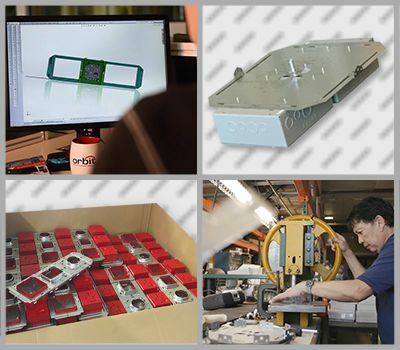 Our UL Listed assemblies undergo a strict quality control procedure. We work with your on-site supervisors to plan deliveries, submit RFIs, and pivot strategies as-needed. Here at PROFAB, we are not just your outsourced prefab shop...we are your business partner in long-term success. PROFAB is a service arm of Orbit Industries, Inc. an electrical manufacturer with over 20 years in the business. 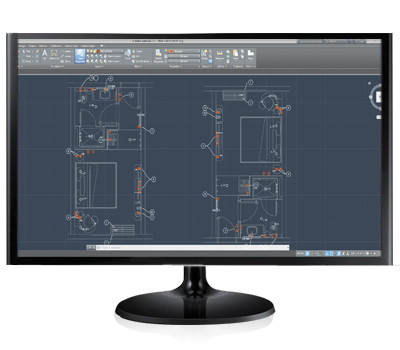 Orbit manufactures electrical construction and lighting products, including innovative prefab components. Our company is family-owned and operated. Founded by a former electrician, many of our staff (including the PROFAB team) were former contractors as well. Our products are UL or ETL Listed, Warrantied, and designed with contractor ease-of-use in mind. Rough-in electrical assemblies right out of the box!